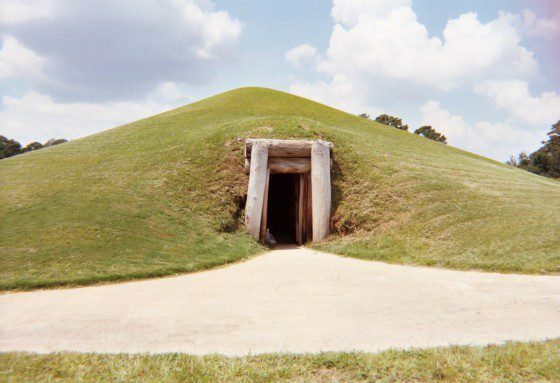 Macon's own Ocmulgee National Monument is in the running for a USA Today Travel 10Best Award for Best Archeological Site in the U.S. You can vote for Ocmulgee National Monument up to one time daily HERE. Voting is open until Monday, April 11th, 2016 at 11:59am EDT. Feel free to visit the site every day to cast another vote, and be sure to tell your friends to do the same! Let's make Ocmulgee National Indian Mounds #1! The third weekend in September welcomes the largest Native American gathering in the Southeast as more than 300 craftsmen, dancers, storytellers, living history demonstrators and others with ties to the area return to their ancestral home at Ocmulgee National Monument in Macon, Georgia. Named one of the Top 20 Events in the Southeast by the Southeast Tourism Society, the celebration shares this vital piece of American history with some 20,000 guests to the monument each year, allowing new generations to understand the Native American heritage, arts, and culture first-hand through interaction and observation. In 2016 the park will be celebrating the Earth Lodge Floor being 1000 years old! "The first sight in the main area of the park is the Earth Lodge, a reconstructed council chamber of the Mississippian people that incorporates and protects the original 1,000-year old floor. A circle of seats and the symbolic bird effigy bring to life this building that had both political and spiritual significance. This is the largest of eight earth lodges discovered on the Macon Plateau." Ocmulgee Indian Mounds boats 6 miles of beautiful, scenic trails. Today, the 700-acre Ocmulgee National Monument, managed by the National Park Service, offers a great, educational outdoor adventure near modern-day Macon. The park’s network of trails explore a number of historic, grassy Indian mounds, trail through a wildlife-filled wetland on the banks of the Ocmulgee River, and explore a fern-filled forest. The Ocmulgee National Monument Visitor Center is housed in an Art Moderne building, distinguished by its round, instead of straight corners. You can study the exhibits in the lobby area that explain the four anthropological time periods used to describe human habitation in the southeastern United States. Over 2000 artifacts and information panels that tell the story of life during the periods occupy the four rounded corners of the inside lobby. Learn the 17,000-year history of Ocmulgee National Monument at night, and see the Macon skyline from the top of the Great Temple Mound. Hear interpretative talks at the 1,000-year-old Earth Lodge, Trading Post and Great Temple Mound. Rangers offer guided and self-guided tours on a one-mile round trip walk. Ocmulgee National Monument made USA TODAY's top 50 most visited National Monuments for 2015! Cast Your Vote Now For The Best Archeological Site In The US!